Did you ever ask your grandma to make some favorite, insanely difficult to create dessert for special occasions? Maybe it was a many-layered Smith Island cake, a Lady Baltimore cake, croquembouche, baklava or even a gingerbread house. Did she give you side-eye? But, every once in a damned while, she gave in and it was glorious. You probably munched and munched and munched, without a care in the world. 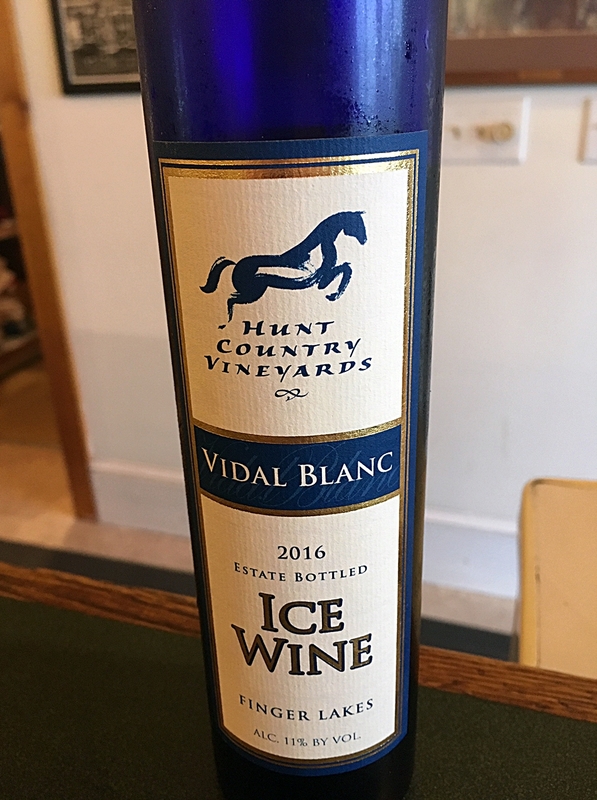 This is the dynamic going on with the making of ice wine in New York’s Finger Lakes. I was happy to be hosted to experience it! A long while back, I learned about ice wines and late harvest wines in Austria. Sweetness in wine is measured by the “brix”: the higher the brix, the sweeter the wine. Also, the finest crafted wines have a higher acid level, to balance the sweetness. Believe it or not, you can have a very high brix wine that’s “drinkable” in larger quantities, if the acid cleanses your palate. The challenge for the Finger Lakes region of New York is that it doesn’t often have the coldest of weather seen up north near the Canadian border. The grapes have to be harvested and kept way under freezing temperatures. That generally means that the harvest has to take place in the middle of the night, before the sun has even the slightest chance of bestowing a touch of warmth. The subfreezing temperature concentrates sugars in the fruit. Elegant Hammondsport is one of the Finger Lakes homes to Heron Hill, a veritable universe of the regional wine scene. Imagine jumbo-sized tasting rooms, event venue areas and gift shopping in the breathtaking New York section of the Appalachians, with fantastic vistas year-round — though I was there during pouring rain. They have a sophisticated 2013 Reisling ice wine. Said to have notes of petrol, pineapple and peach (don’t laugh, it totally works! ), I also noticed a golden apple nose. It has a 33 brix rating and is comparable to the German trockenbeerenauslese. They also have a small quantity of ice wine from 2015-2016. I noticed a floral greens and fruit skin nose. Though it has a whopping 45 brix, it’s juicy and tangy, full of acid. See? Point of the Bluff Vineyards overlooks Keuka Lake and with its lush hills, looks a lot like a Tuscan vineyard. With their ice wine, I noticed candied orange peel and a salt tang. They hand-picked their grapes over a period of 3 nights in the middle of the night, when it was 17 degrees out or colder. Brrr! All in the service of delicious flavor! Hunt Country Vineyards is a chic venue hosting lots of festivals, events and concerts. With their ice wine, I noticed a perfumed nose. The flavors featured syrup and sugared notes, along with tropical fruit, an apricot aftertaste. It has a 39 brix. 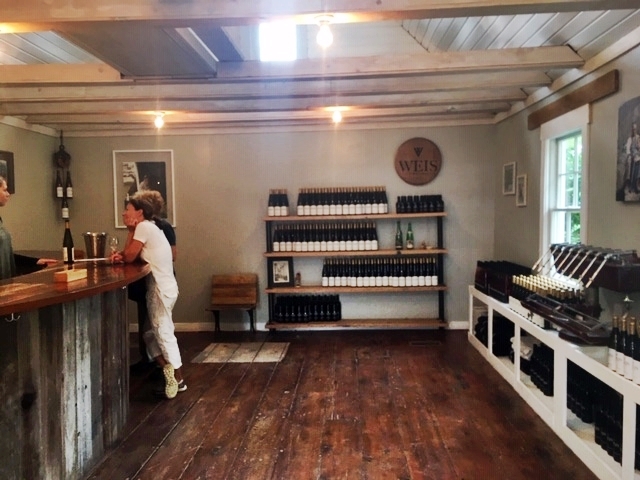 Weis Vineyards has a tiny, no-frills tasting room, but makes up for it with exquisite wines! It was founded by a young German whose father and grandfather were vintners along the Mosel River in Germany. That area has been famous for wines since Caesar Augustus’ Roman armies cultivated this warmer part of the country. Germans take their wines (including ice wine) seriously. The vineyards are brand new and they’ve already won awards! 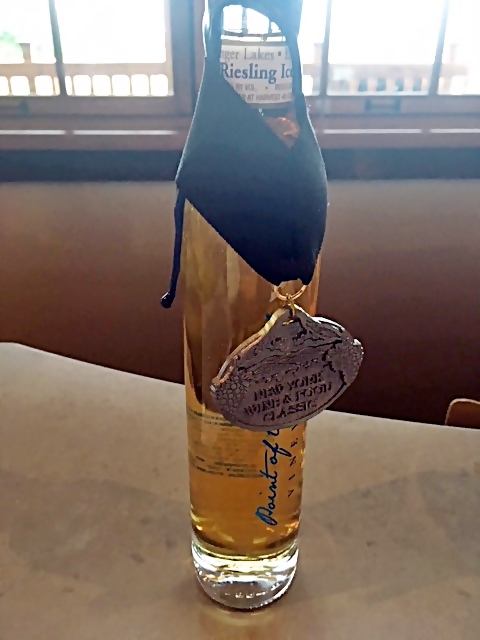 Their 2018 Reisling ice wine has mango and orange peel notes. It’s beautifully balanced; you could bring this as a gift to anyone with confidence, including your boss, celebrities or other dignitaries. Their port is also special, by the way, having a nose of nuts, with flavors of walnuts, dried fig, white chocolate and raisins. 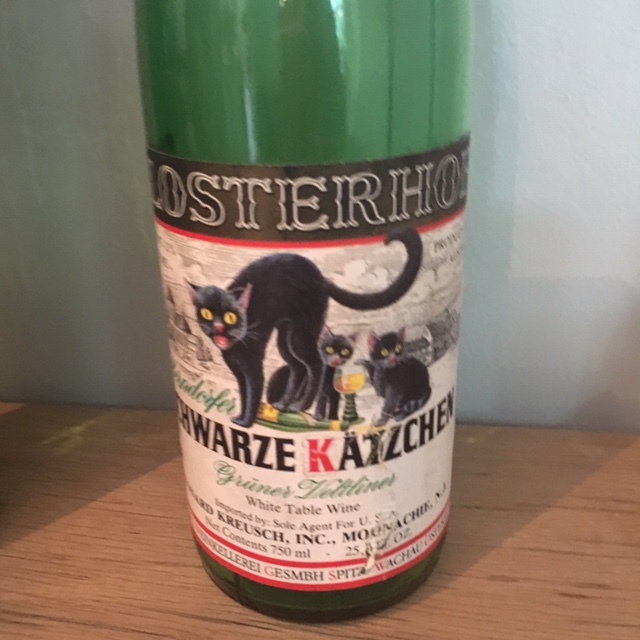 Here is a picture of one the family’s vintage wines from way back in the day. Black Cats Wine!